Since designing the first space suits in the 1950s, NASA has been interested in developing materials to keep astronauts comfortable and cool. In order to protect an astronaut from the extreme temperatures in space, engineers at Johnson Space Center created liquid-cooled garments that run water in small channels throughout the suit in what is called an active control system. However, in the 1980s, NASA began to investigate passive control strategies—fabric that could control temperature without pumped liquids—building on work by the U.S. Air Force. Phase change materials (PCMs) control temperature swings in textiles using passive control strategies. These PCMs change state at different temperatures, such as when wax melts and reforms as it heats up and cools off. In 1987, Johnson began actively seeking collaboration with private industry to develop PCMs for space suits and particularly for use in astronaut gloves during extravehicular activities. 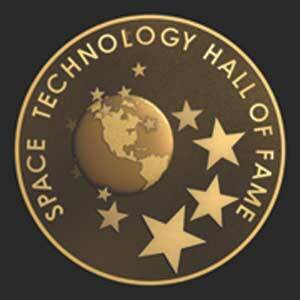 Triangle Research and Development Corporation (TRDC), of Research Triangle Park, North Carolina, participated in two Phase I Small Business Innovation Research (SBIR) contracts in 1987 and 1988 with Johnson to assist in the creation of phase change materials for NASA. Prior to these contracts, the company demonstrated the value of manufacturing textiles containing microencapsulated phase change materials (mPCMs) for the Air Force. Boulder, Colorado-based Gateway Technologies Inc. (first featured in Spinoff 1997) then acquired the exclusive patent rights for incorporating phase-change technology in commercial fibers and fabrics from TRDC. In 1997, Gateway Technologies changed its name to Outlast Technologies Inc. and incorporated the mPCMs, which the company calls Thermocules, into all of its products. These mPCMs are now integrated into textiles and onto garments to provide greater comfort and temperature control for consumers in bedding, medical supplies, outdoor gear, and a full line of apparel for both ordinary and extreme conditions. With over 20 patents in fabric technologies, Outlast is a leader in creating new applications and products for mPCMs. The company regularly announces new products, which include active, casual, and nighttime apparel for men and women, as well as leather jackets, gloves, and winter sporting apparel from dozens of company partners in the United States and around the world. Some of these well-known partners include the Burton Corporation, the Timberland Company, Dillard’s Inc., Eddie Bauer Inc., Jos A. Bank Clothiers Inc., and Marks & Spencer PLC. Outlast Technologies Inc. incorporates microencapsulated phase change materials (mPCMs) into all of its products, including automobile seat covers, bedding products, and a full line of apparel for both ordinary and extreme conditions. These mPCMs provide greater comfort by trapping and then releasing stored heat as needed. 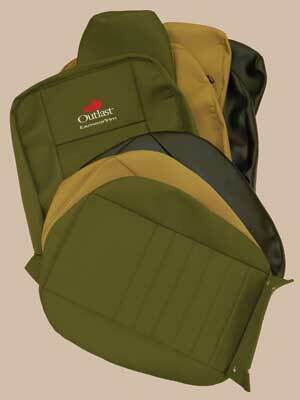 Images courtesy of Outlast Technologies Inc. The Outlast Thermocules react to temperature fluctuations, with the encapsulated materials changing from liquid to solid and vice-versa as they release or absorb excess heat, depending on the environment. This feature allows Thermocules to be used in a variety of clothing and consumer goods to maintain more comfortable, slow-changing temperatures near the body. Thermocules are incorporated into or onto fibers, fabrics, and finished garments. Since creating its first process with the Thermocules, Outlast has added new techniques for applying the temperature-controlling technology to different fabrics. Initially, Outlast only offered its products in acrylic fiber as well as coating the technology onto fabrics through a process called matrix coating technology (MCT), but the company has since added three new ways to offer this temperature-regulating benefit: Outlast matrix infusion coating (MIC), Outlast infusion technology, and Outlast viscose fiber. In 2006, in partnership with fiber manufacturer Kelheim Fibres GmbH, Outlast announced its manufactured cellulosic viscose, similar in texture to rayon or silk. This lightweight, easy-to-clean material enables temperature control in delicate garments, including blouses, intimate apparel, dresses, and sleepwear. 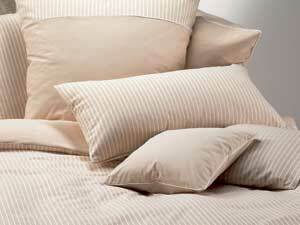 Outlast has also used viscose to complete its line of bedding products by offering viscose sheets, which, when used with Outlast’s existing line of bedding products already in the market, offer consumers new control over temperature fluctuations during sleep, simply through the fabrics around them. New Outlast brand nightshirts, made with a cotton viscose blend, may also help mitigate discomfort from night sweats. Most of the bedding products offered by Outlast are created with the original MCT process, which allows for the most loading of Thermocules. Fabrics using this process tend be stiffer and heavier and less ideal for soft items worn close to the skin, but the benefits of having more Thermocules are especially noticeable in car seat covers, outerwear (including jackets, hats, and shoes), rugged outdoor clothing (including winter boots), and bedding (including mattress pads, blankets, duvets, and pillows). In 2008, Outlast revealed its new MIC process to help improve the temperature-adapting qualities of natural fiber products and its mattress products, and to expand the types of fabric offering Thermocules in general. The MIC process, in essence, screenprints an advanced formulation of microscopic Thermocules onto flat fabrics, providing manufacturers a more affordable method of adding temperature regulation to existing fabric prior to garment construction. 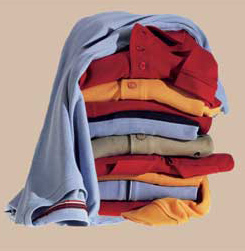 Previous coatings were often too heavy for next-to-skin applications, but this new process is lightweight, and according to Outlast technical director Mark Hartmann, “It gives the temperature-regulation benefits of Outlast technology needed for next-to-skin applications and the wicking capabilities of polyester.” It is especially useful for woven fabrics like cotton and polyester for polo shirts and sleepwear. Some of the brands offering apparel in this line are Reebok and Marks & Spencer. In spring 2008, Outlast announced this technology would be incorporated in the COCOON MummyLiner sleeping bag product by Design Salt USA; the MIC process allows these liners to be breathable and have wicking abilities, while keeping the sleeper comfortable in the outdoors. The Outlast infusion technology, also initiated in 2008, is a spray process created for finished apparel such as t-shirts, socks, underwear, and shirts, and is not for thick or layered products. This technology offers manufacturers an easy way to apply Outlast technology to existing apparel without changing texture. Outlast has seen success in its phase change products, increasing its sales by 400 percent from 2002 to 2008, and the company announces new products regularly. CEO Greg Roda says the company’s research and development team is regularly “innovating and developing new applications” for the phase-change technology. Other new products are motorcycle apparel, snowboarding boots, and wheelchair seat cushions and covers, which keep skin drier and cooler to prevent pressure ulcers (also called bedsores). Outlast Infusion™ is a trademark of Outlast Technologies Inc.
Thermocules® is a registered trademark of Outlast Technologies Inc.
COCOON MummyLiner™ is a trademark of Design Salt USA.